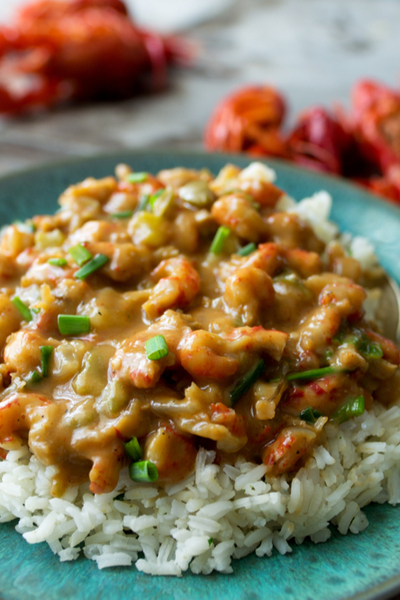 There is nothing more authentic about New Orleans than Cajun Crawfish Etouffee. Crawfish are a staple in New Orleans cuisine and the history of Cajun Crawfish Etouffee is quite interesting. 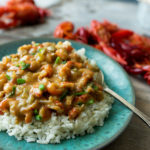 Cajun Crawfish Etouffee – served over a bed of rice. This dish originated in Breaux Bridge, Louisiana. This part of the state is what the locals refer to as Cajun country. This area was known for their crawfish farming and cooking. The restaurants there were the first to serve crawfish on their menus. 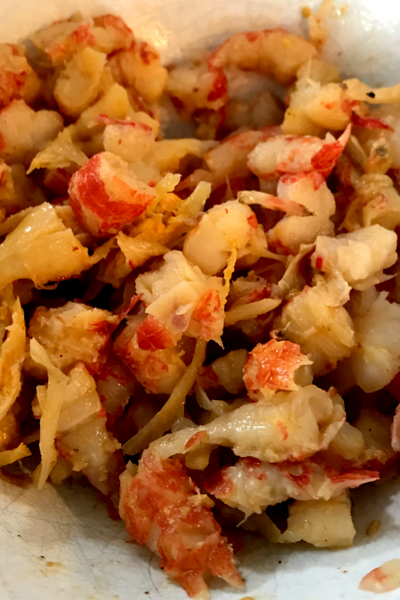 In fact, this crustacean was served so frequently that in 1959 it was designated as the ‘crawfish capital of the word’ by the Louisiana government. So what is the difference between Cajun and Creole? Crawfish are a staple in Cajun New Orleans cuisine. The history behind the two cultures is quite extensive, so we will keep it short and with a culinary perspective. Think of Creole as the city folks. In contrary, Cajun would be considered the country people. There were many more ingredient options available to the Creole areas. And the Cajun culture had to cook with what was easily accessible and readily available. In simplistic terms, Creole cooking traditionally includes tomatoes. Where Cajun cuisine leaves out the tomatoes and focuses on seasoning the holy trinity of celery, onions and green peppers with spices, stock, and seafood. For another great New Orleans dish, check out our Instant Pot Red Beans and Rice recipe. Remove the tail meat by twisting the crawfish in two and pull the meat out. Over several generations the two cuisines have blended together in main stream America. However, ask anyone from Louisiana, and they can definitely tell you what is an authentic Cajun or Creole recipe. The first step is catching the crawfish. Okay, not everyone has access to fresh crawfish like in Louisiana. So those that want to enjoy this cajun crawfish etouffee recipe have to resort to other measures. 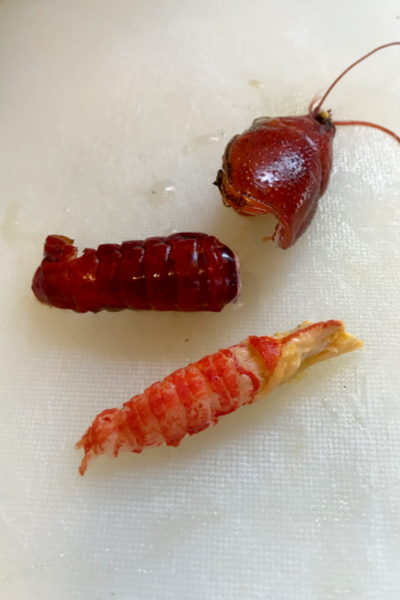 If you don’t have access to fresh crawfish at the local market, you can find whole, frozen crawfish in the freezer section of some grocery stores. A bowl of crawfish tail meat diced and ready to be added to the roux. 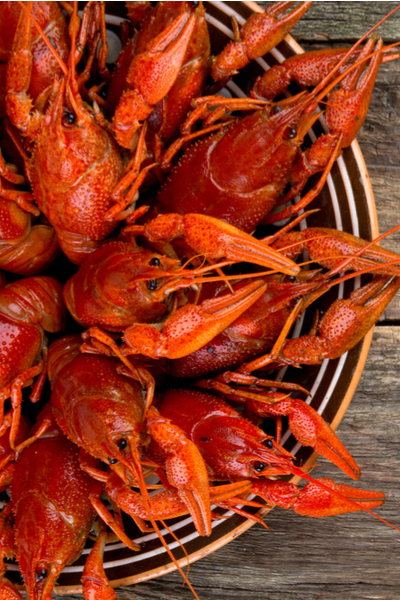 When crawfish are in season, you may be lucky enough to even find them in the butcher case. Once you have your crawfish, it is time to get the meat out. First hold the body and the head and twist in opposite directions. The head will detach and you can begin to pull back the shell of the tail. Once you can reach the meat, pull firmly and the meat will come out in one whole piece. Cajun crawfish etoufee ready to be served over hot rice. But don’t throw away those shells! The heads and shells will go into a pot with some vegetables to make the best fish stock that you have ever had! 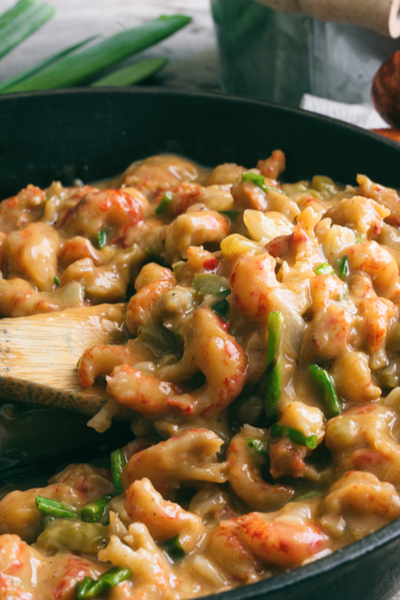 Use this stock to make your Cajun Crawfish Etouffee taste even better! Classic New Orleans Cajun dish filled with tons of flavor and in season crawfish (or shrimp) and served over a hot bed of rice. In large saucepan melt 1/4 cup butter over medium-high heat. Add onions and sauté for 5-6 min until onions begin to brown. Reduce heat to medium, add flour, stirring constantly for 5-6 min until roux is light brown/reddish in color. Add 1 Tbs. butter, celery, bell pepper, garlic, tomato paste, salt, black pepper, and cayenne and cook an additional 3 minutes. Add stock and Worcestershire then bring to a boil. Reduce heat and simmer for 10 minutes. Add crawfish tail meat, lemon juice and green onions, then bring back to a boil. Reduce heat to a simmer and cook for 6-8 minutes until crawfish tails are heated through and sauce has thickened. Turn off heat and stir in parsley. Serve immediately over hot, cooked rice.